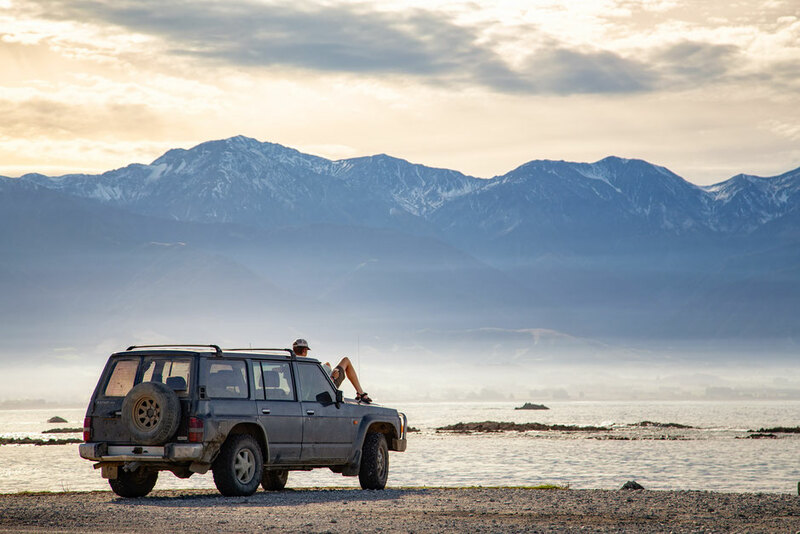 Buying or renting a car/campervan is one of the most popular and best ways to discover New Zealand. Before you throw yourself at mercy of car rental companies make sure you know what you are getting yourself into. If you are sucker for beautiful views like me then also be prepared to hire a professional driver who will take you around these crazy windy roads so you can stick your nose to the window and stare at the views for hours at the time and scream every 15 minutes to stop the car so you can snap a photo. Luckily, I have a boyfriend who does the job for free. If I wanted to include all these roads in this post I would have to end up writing a book and I am not sure whether you would enjoy reading it, so I decided to narrow it down to only 10. 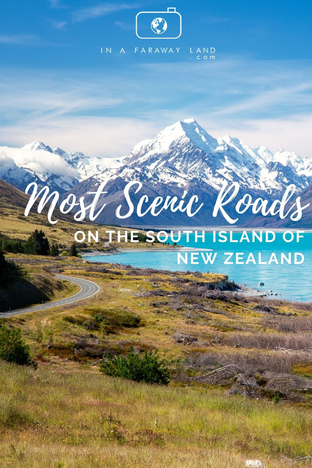 Most of these roads feature on my New Zealand 2 week travel itinerary for the South Island. 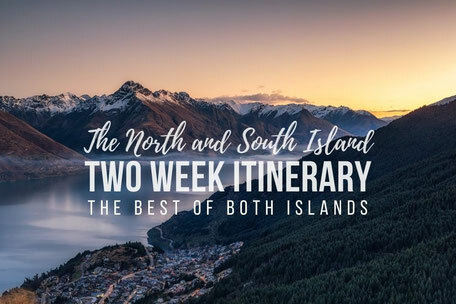 I receive a lot of e-mails from you asking about the best travel itineraries for New Zealand and have decided to compile then in my free New Zealand Travel Guide. It includes my favorite photography spots, hikes and road trip plans. 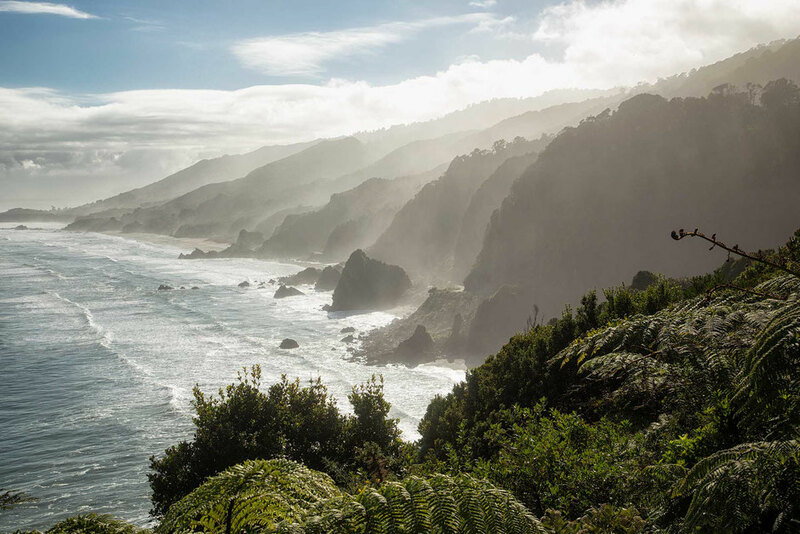 Travelling in your own vehicle is the best way to see New Zealand. Since I spent over a year exploring this beautiful country I have invested into my own car. However if you are coming here on short holidays renting is the way to go. I would highly recommend renting a campervan for the duration of your travel. It will give you the freedom of travelling at your own pace without having have to spend money on hotels. Motorhome Republic is an awesome search engine for campers and motorhomes. If however an idea of camping makes you cringe and you like the comfort of a hotel room, you can just rent a compact car. For that option I highly recommend Discover Car Hire. I hope you find my New Zealand posts useful. If you do I'd appreciate if you use the affiliate links above if making any bookings. It won't cost you anything extra, in fact it will save you time and money! 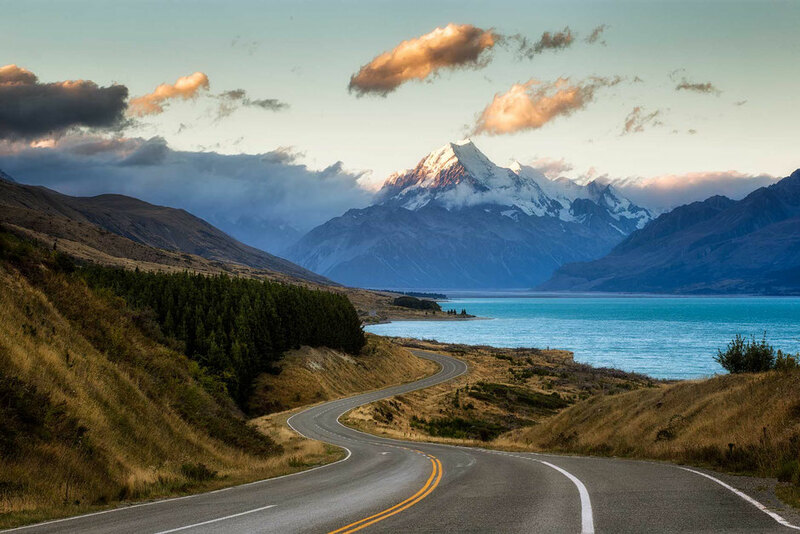 The main inland "highway" on the South Island of New Zealand that connects Christchurch with Lakes Tekapo, Pukaki, Wanaka and Wakatipu is a sight to behold. This entire stretch of road is spectacular but one part stands out more than any other - The Lindis Pass. 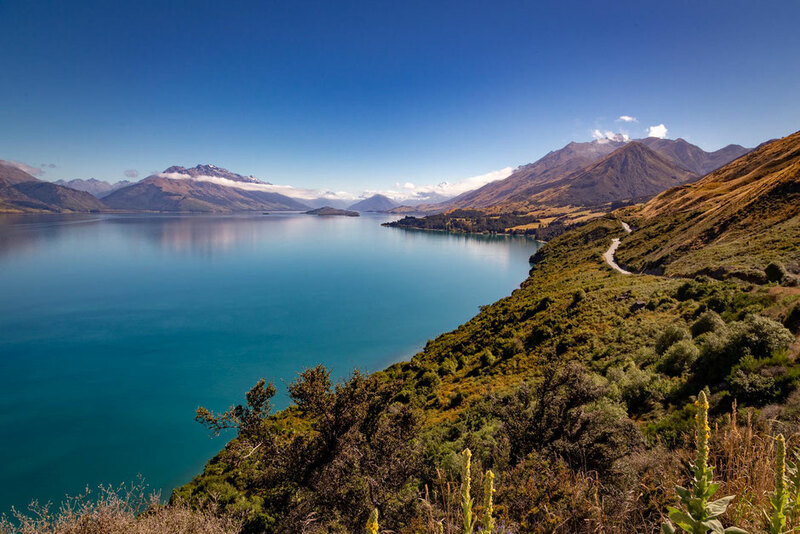 The drive from Lake Wanaka to Lake Pukaki should only take around 2 hours. That is two hours continuous driving. If you were to stop every time you saw an amazing view this journey is going to take a hell of a lot longer. 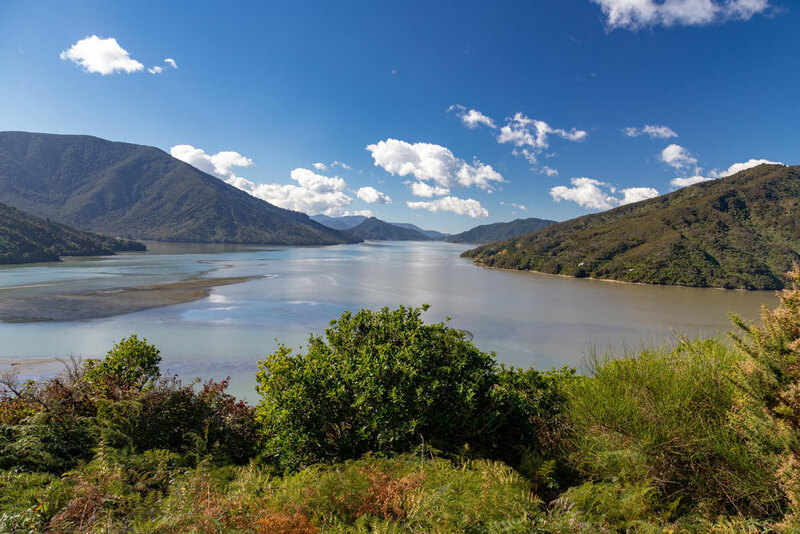 Located in Mount Aspiring National Park, the Haast Pass joins the coastal town of Haast with the mountains of Wanaka and Queenstown. This breathtaking journey is a must do for every keen driver. Just be warned….. This road WILL test your vehicle, make sure to take some extra supplies ;) and a camera with full battery and an empty memory card. It kind of looks like Hawaii, don't you think? Do you know those bags on aeroplanes that are designed to throw up in? Take some of these if you plan on driving on the west coast. It’s like driving on a roller coaster, sort of, except you’re probably going faster, it lasts hours and hours and your chances of vomiting are much higher. Sounds great I know!!!! But driving through whats known as “Glacier County” is a once in a lifetime experience. 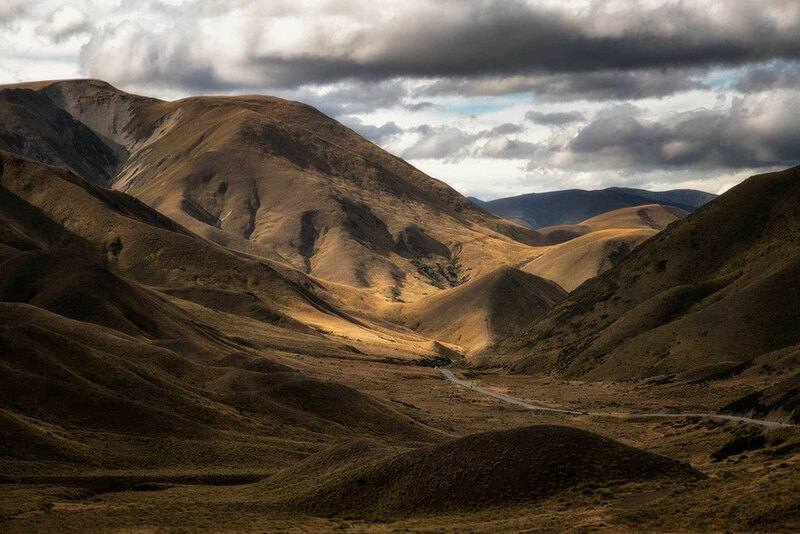 The road that connects Christchurch with Hokitika and Greymouth is a windy mountainous stretch of road that passes through, in my opinion, New Zealand's one of the most beautiful national park - Arthur's Pass. As you drive along the Bealey River you will be surrounded by the peaks to your left and right. It's hard to keep your eyes on the road. Arthur's Pass Village is a great place to stop for lunch or even a night as there's plenty to see and do there including The Bealey Spur Track, Avalanche Peak and the Devil's Punchbowl Waterfall. Has anybody heard of that level on Mariokart called Rainbow Road? Well that's a doddle compared to this monster. It’s like driving down an overcooked piece of spaghetti wrapped around a fork. It’s honestly a joke how windy it is and even more of a joke is how stunning it is. The mountain pass taken by the fellowship of the ring ...pssssshhh.... simple compared to the Crown Range road plus they wimped out halfway and went through the mines of Moria. The main road that connects Queenstown and Wanaka offers breathtaking views around every corner, which is a huge bonus if you have an overheating car like I did. You can wait for it to cool down whilst admiring the views from the multiple viewpoints along the way. 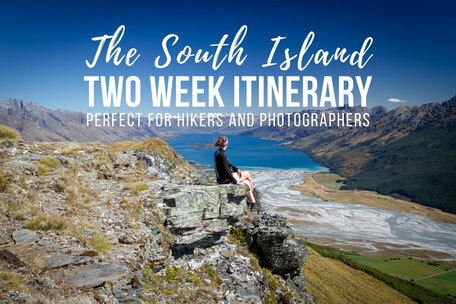 Central Otago, the region that Queenstown and Wanaka lie in, is home to some of the best hikes on the South Island of New Zealand. This eastern coast road is not only stunning because of the natural landscapes but because of wildlife you’ll see along the way. Baby seal pups squashed to a bloody pulp in the middle of the road is such a pleasing sight. The Peregrine falcons swooping down from up on high, landing neatly, eating their flesh and picking out whats left of their juicy eye balls, yellow eyed penguins being pestered by overzealous tourists and marooned whales make, what only can be described as, a great family fun day out……... Just kidding (to an extent) you may see a few dead seals but most of them are alive and well; and they are so cute and fuzzy (from far away). The recent earthquakes and storms have done a considerable amount of damage to this stretch of road and whilst maintenance teams are doing their best to fix it, it will no doubt still take several years. One of the best highlights on the east coast used to be a small pool where seal pups would grow and play before moving to the sea. This however has now been destroyed. The seals, and their pups, however are still there but you'll just have to look harder for them. If you combine mountains, rivers, rainforest and roads then you get the journey from Te Anau to Milford Sound. 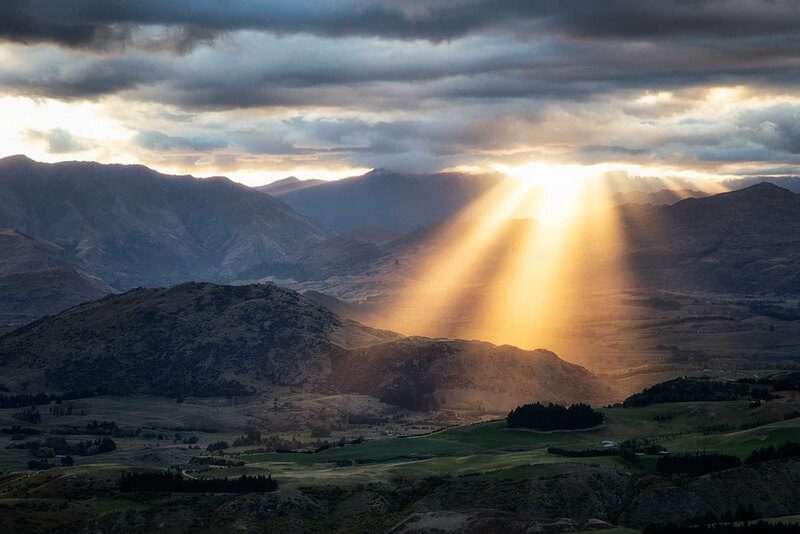 From the moment you leave Te Anau you will be cut off from the civilisation (no phone reception) but instantly connected to the surrounding nature. Make sure to leave early as the viewpoints along the way get pretty crowded with the tourist buses. In the end Milford is the top attraction in all of the New Zealand. Here's more photos of Milford Sound that'll inspire you to go. In the winter look out for weather reports. The crazy windy road can sometimes be closed due to snowfall and you might have to carry snow chains with you. 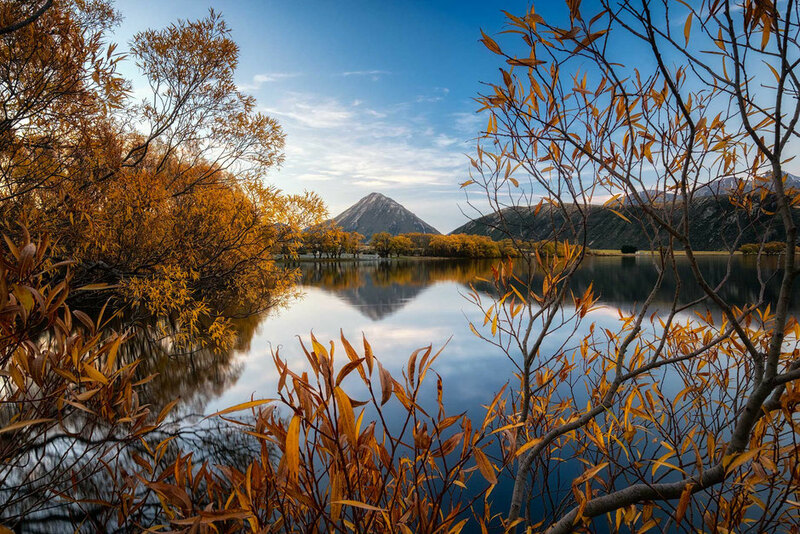 Don't forget to make a stop for a short trek to lake Marian - one of my favorite day hikes in NZ. 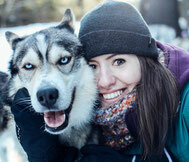 Do you need that perfect picture from your kiwi holiday to make everyone jealous after coming back home? 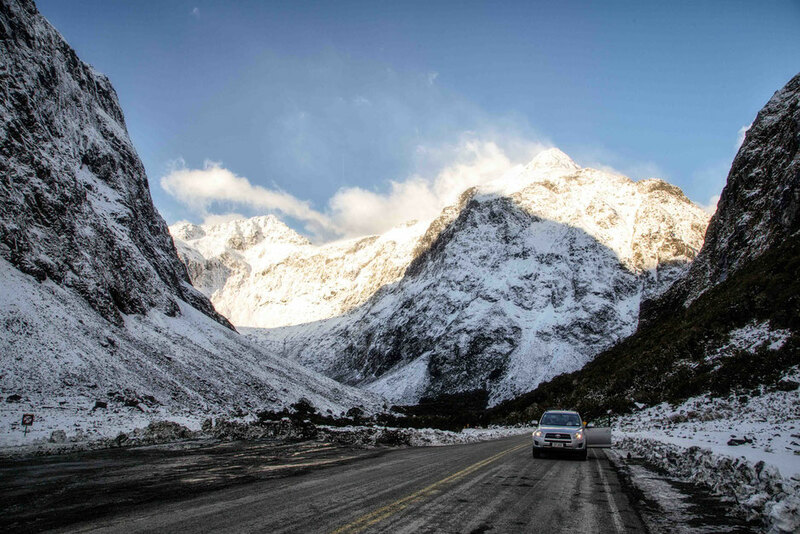 I suggest you take a drive to Mount Cook National Park, but test your breaks before you do, because you will be slamming on them every few minutes to stop and take a photo. 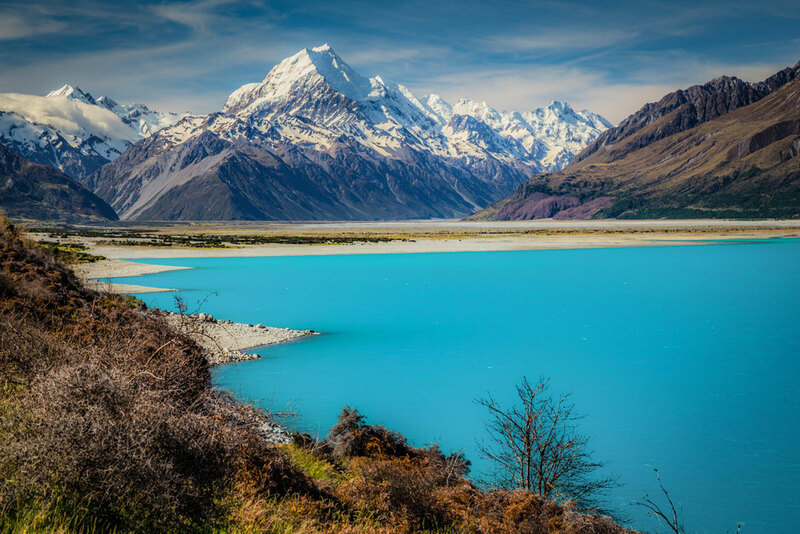 The icy blue lake Pukaki and the highest mountain of New Zealand, where sir Edmund Hillary practiced before climbing the Everest, will certainly make your jaw drop. This road leads to the trailhead of the Mueller Hut - one of many incredible alpines huts that you should stay in whilst you're in New Zealand. And now, last but not least - the road that leads to Paradise, both literally and figuratively speaking. 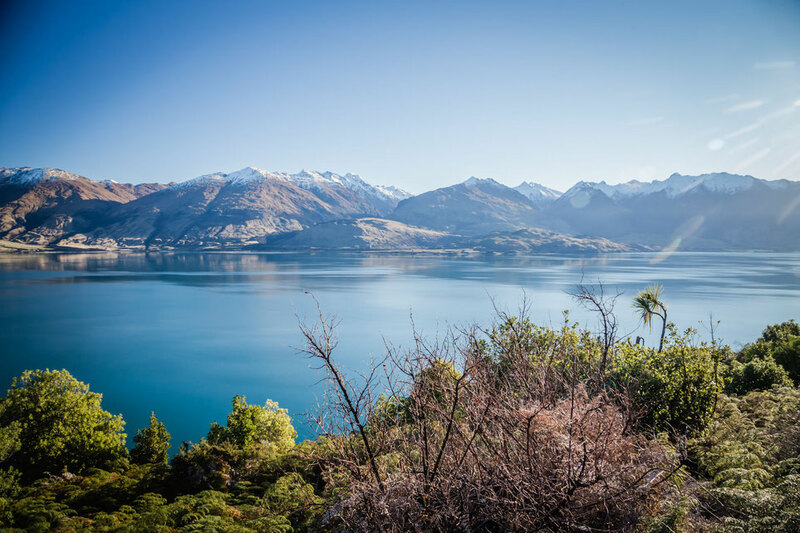 This little gem that connects Queenstown and Glenorchy runs along the pristine waters of lake Wakatipu. It is by far my favorite road I have ever driven on because it has that added bonus of leading to Paradise. 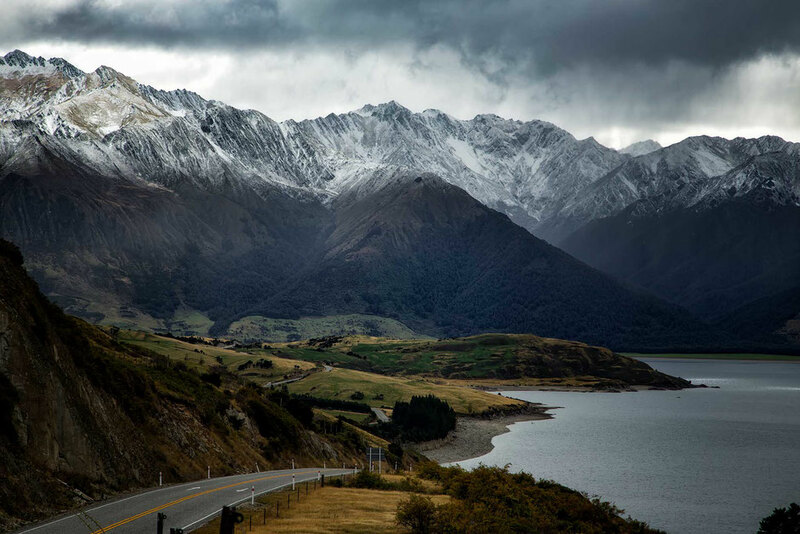 The aptly named place just outside of Glenorchy, surrounded by magnificent snow-capped mountains rivers and ancient beech forests served as a backdrop to the infamous Isengard in the LOTR trilogy. Instead of orcs though, you'll probably encounter loads of sandflies, so make sure to take some repellent with you. Don't let those suckers spoil the view! My partner and I drove on these roads in our 1996 2.5L Subaru Legacy which uses 10L gas per 100km (or 23.5 Miles per gallon). Not the most efficient. We know. In our 6 week road trip we had one exploding tyre, one burst radiator hose, one flat battery and one 80km towing session. Was it all worth it? Of course it was!!!!!! 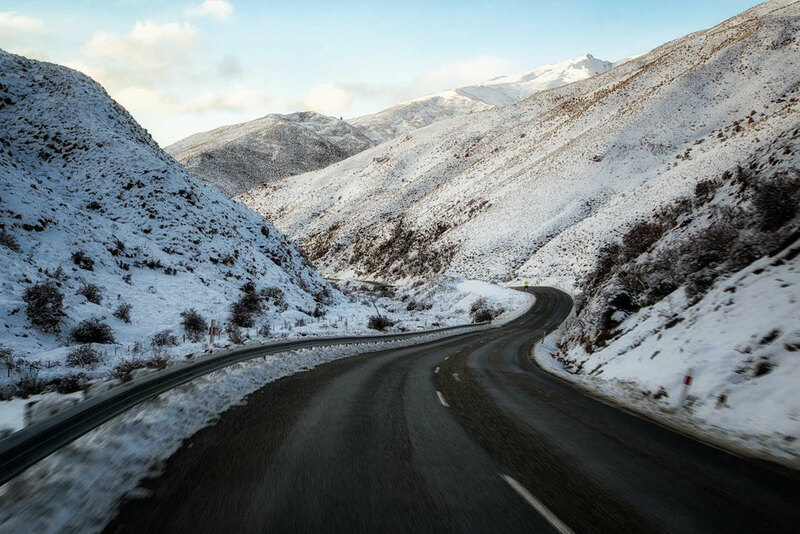 Driving in New Zealand can be daunting especially if you are used to long, straight highways with wide lanes. Please make yourself aware of any driving idiosyncrasies that your country and New Zealand has. That being said it's pretty simple and extremely safe. To be honest every single time I get into the car in New Zealand I am in awe of the views that stretch ahead of me. So much so that sometimes I concentrate more on the vistas than driving. When planning your road trip, you should also factor in what I like to call "View-time". It's the amount of time you'll spend on a road that isn't driving! It can add up pretty quickly. It will always take longer then what your GPS tells you! Don't forget to take some motion sickness tablets with you and enjoy the ride! 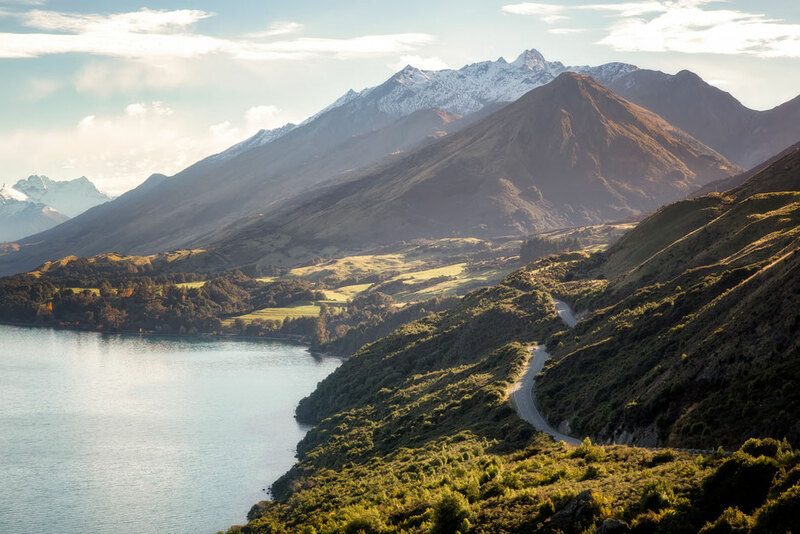 HAVE YOU BEEN ON ANY OF THESE ROADS OR ARE YOU JUST PLANNING A TRIP TO NEW ZEALAND? LET ME KNOW IN THE COMMENTS!